Michelle McSpadden ~ Fine Art : More NuArt Minis Completed!! 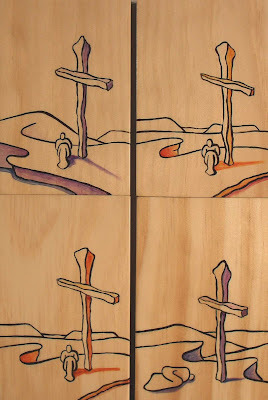 These NuArt Minis are 3.5 inches by 5 inches. I decided to try something a little different with this small group by not using the irridescent pearl or gold background. The natural wood grain is really pretty and gives each piece it's own little spice of life. (At least I think so) I'll probably explore this further in future NuArt Minis.